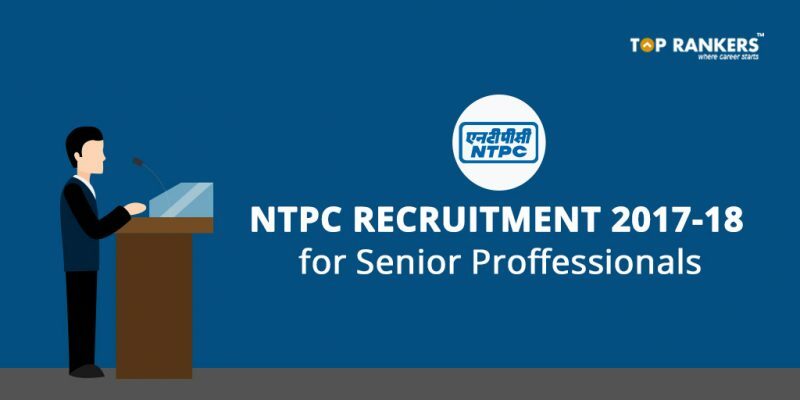 NTPC Recruitment 2017-18 for Head of Mining, Law, and IT – Apply for senior posts now. National Thermal Power Corporation, a Public Sector Undertaking, has released the recruitment notification for experienced senior professionals. If you are interested in this post, you can apply until 21st December 2017. In this post about NTPC Recruitment 2017-18 for Head of Mining, Law, and IT, you can find all the important details regarding the recruitment. Let us go through them all one by one. Age Limit – You must not be above 55 years of age. This criterion is common for all the posts. Educational Qualification – You must have a Bachelor’s degree in Mining Engineering along with a first-class Mine Manager’s certificate. Experience Required – You must have 25 years of experience post qualification. Also, you should have experience in maintenance of coal mining projects and mine planning. Educational Qualification – You must either have an Undergraduate or Postgraduate degree in law. Experience Required – You must have 23 years of experience post qualification in the executive cadre. Also, you must have experience in law contracts, evidence, matters of transfer of property, labor and service affairs. Educational Qualification – You must have a B.Tech/B.E. degree in Computer Science. Experience Required – You must have 23 years of experience post qualification. Also, you should have experience in enterprise-wide IT projects, IT systems, IT security, SMS, SAP, DBMS & networking. Furthermore, you should also have some experienc qworking at the Senior Management Level. First of all, click on the direct link given bove to apply. Then, select your desired post. After that, fill in the form completely and correctly. Next, upload the required documents. A unique registration ID will be generated. You need to download this registration slip. You can also visit their official website to apply. In addition, you will also get medical facilities for self and spouse, company accommodation and conveyance reimbursement. Note – The engagement will be on a fixed term basis for a period of three years. So, tell us, did you find our post on NTPC Recruitment 2017-18 for Head of Mining, Law, and IT helpful? Then, keep visiting us regularly for more job notifications and recruitment updates.